Ezra Fessehaye, a journalist with the government-owned newspaper "Hadas Eritrea". Around 10 journalists employed by state media were picked up in a wave of arrests that began on 12 November 2006, following the defection of several leading journalists. It seems the authorities were very annoyed by the defections and arrested colleagues suspected of keeping in touch with the fugitives or intending to defect themselves. All except Daniel Musie of radio Dimtsi Hafash’s Oromo-language service were eventually released on bail but remain under surveillance in Asmara. Caught while trying to flee to neighbouring Ethiopia in part because he is a member of the so-called “Amiche” community of Eritreans who were born or raised in Ethiopia prior to independence and because he therefore still has relatives there. Place of detention : Adi Abeito. He was first held in the Dobozito detention centre and then in the military prison in Adi Abeito. Along with other prisoners, he was taken by armored cars at night on 22 May 2009 to an unknown destination and then sent back to Adi Abeito. 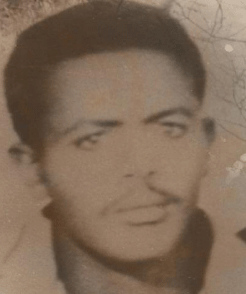 Saleh Idris Sa'ad (Saleh Jazairy), journalist at Eritrea al Hadeetha. 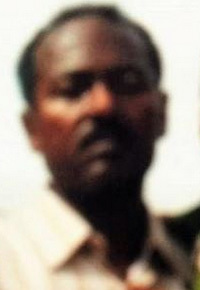 Arrested by the Eritrean government's security agents in 2002. He has never been charged or otherwise brought to a court of law.